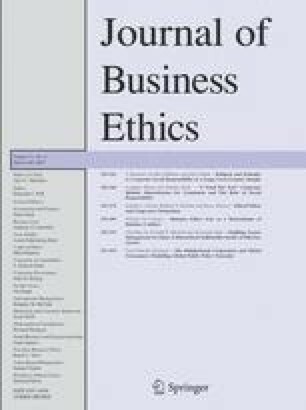 This paper explores the relationship between religious denomination and individual attitudes to Corporate Social Responsibility (CSR) within the context of a large sample of over 17,000 individuals drawn from 20 countries. We address two general questions: do members of religious denominations have different attitudes concerning CSR than people of no denomination? And: do members of different religions have different attitudes to CSR that conform to general priors about the teachings of different religions? Our evidence suggests that, broadly, religious individuals do not prioritise the responsibilities of the firm differently, but do tend to hold broader conceptions of the social responsibilities of businesses than non-religious individuals. However, we show that this neither true for all religious groups, nor for all areas of CSR. 1.Centre for Business Organisations and Society, School of ManagementUniversity of BathBathU.K.